Q. How can I link library accounts so that they can be managed from one login? 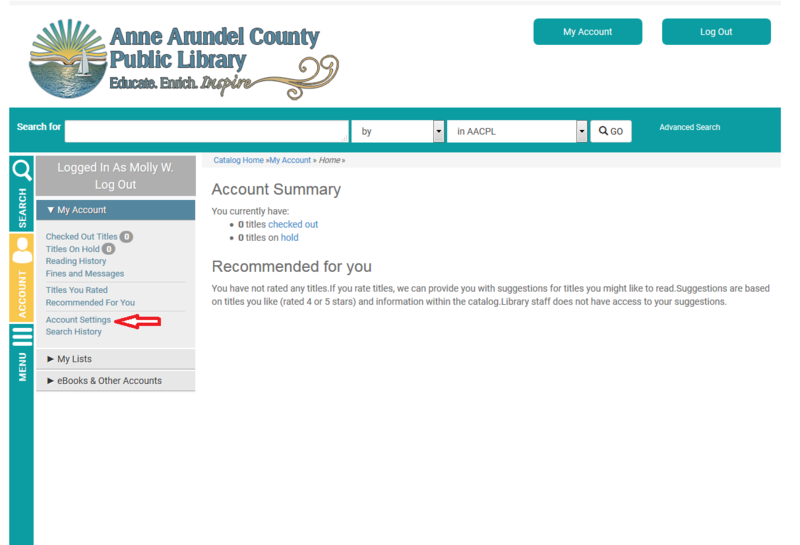 Log in to your library account using your library card number and pin. 3. This brings up all of your account info, such as address, phone number, email and primary branch. 7. If it was successful it will tell you in another pop-up, which you can then close. 8. Follow steps 5-6 for any other accounts you wish to link. 10. With linked accounts you will be able to view all checkouts, holds and fines for each linked account all on one page using the links on the left-hand side under “My Account.” Note that while you can view fines from linked accounts on one page, you still cannot pay for fines on multiple accounts all at once. Additionally, any user who logs directly into one of the linked accounts will be able to see that you can view their information.